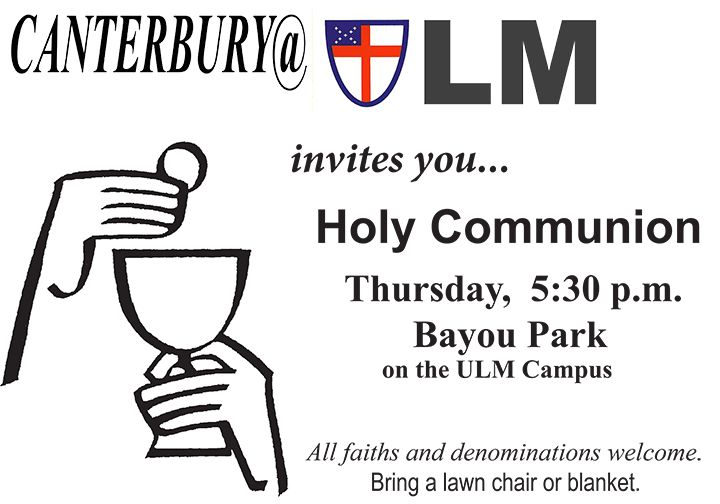 Outdoor Eucharist this evening hosted by ULM Canterbury. 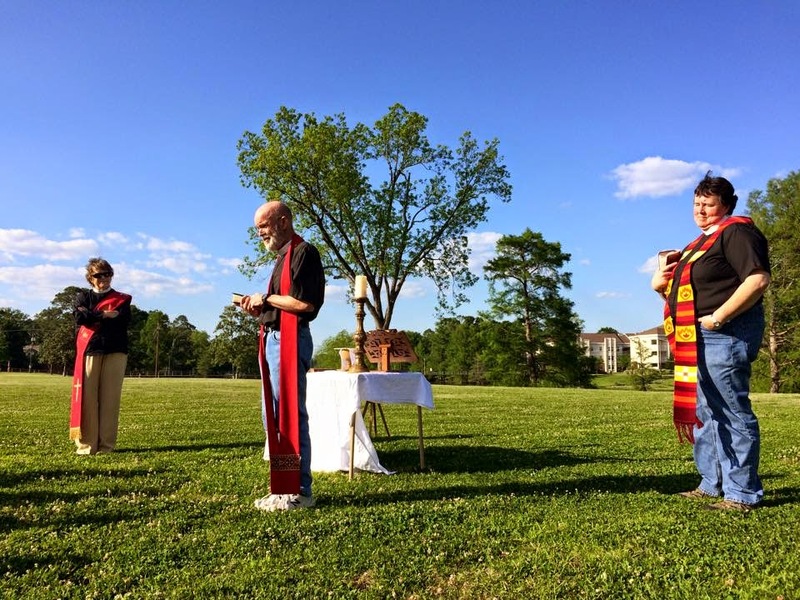 Beautiful weather and liturgy. 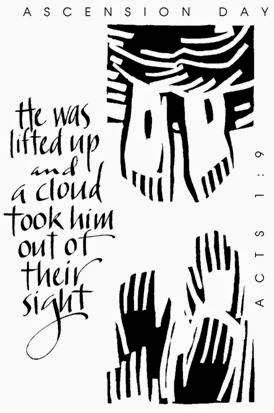 Ascension Day is one of the fixed dates of our liturgical calendar, always falling on the 40th day after Easter. On Thursday 14th May at 7.00p.m. Grace, Monroe will have an Ascension Day Choral Eucharist. Father Whit Stodghill will be our guest preacher. Please join us as we commemorate the conclusion of the post-Resurrection appearances of Jesus and celebrate his Ascension into heaven. A light reception will follow in Kilbourne Hall. St. Thomas' Fish Fry - This Saturday! 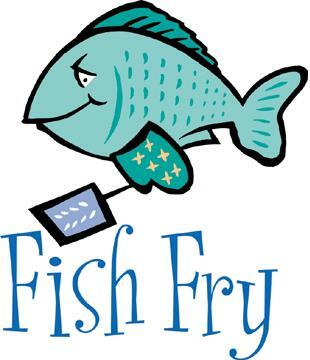 Saturday, May 2, 5:30 p.m. - 7:30 p.m.
Come for a great meal of fish, hush puppies, fries, slaw, desserts & tea, PLUS entertainment by the Back Pew Pickers, a cake walk and other fun stuff - all for a good cause. 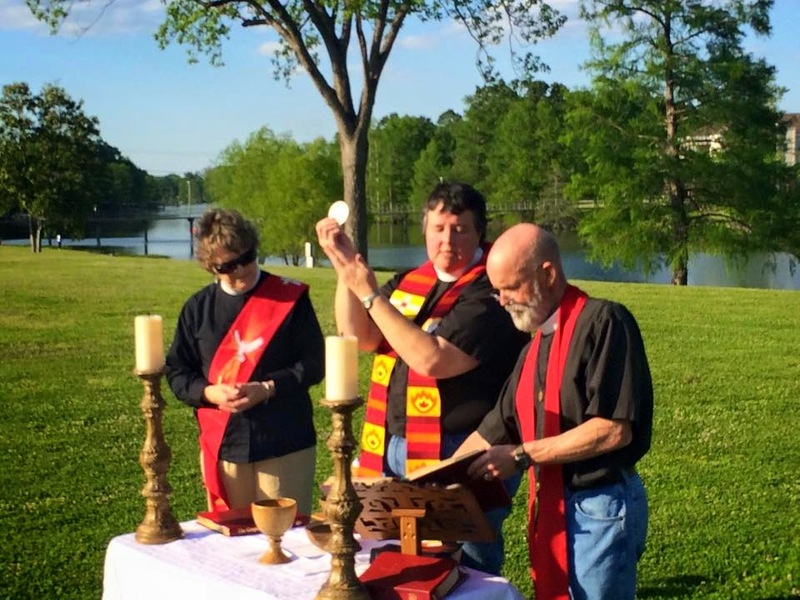 Canterbury@ULM hopes you will come to share Holy Eucharist next to the bayou in Bayou Park on campus. That's between Starbucks and Bayou Desiard. Hope to see you there! St. Thomas' Ladies Night Out! That's right ladies. On Wednesday, April 22, the women of St. Thomas' will be going to The Olive Garden after the Wednesday evening service. If you can not make it to church please join us at The Olive Garden at about 6:15p.m. 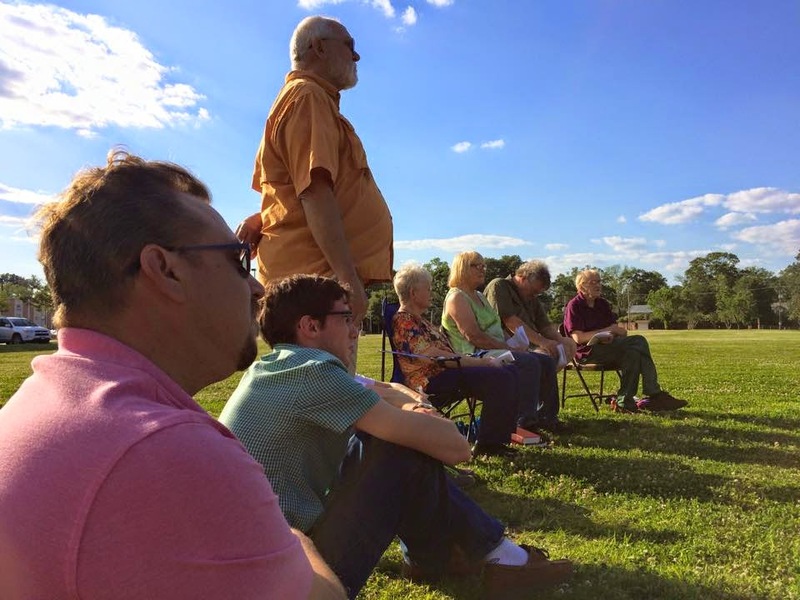 This is a chance for all of us to gather, have fun, and be in community! 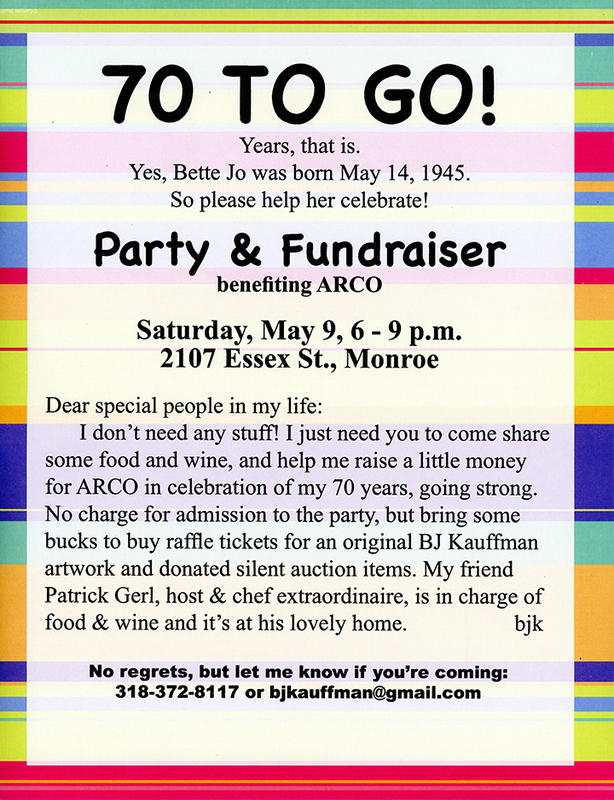 It is always a fun time and we look forward to seeing everyone there! 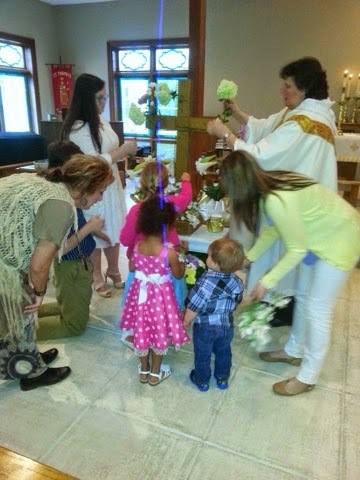 We have had a blessed Holy Week and Easter! 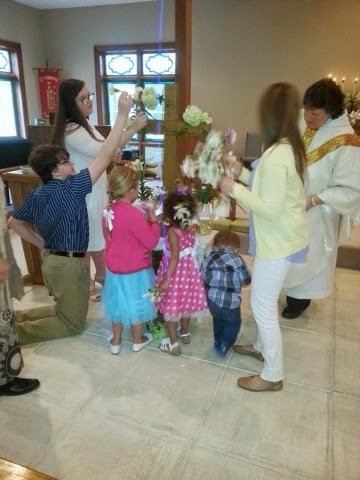 The pictures are of the children flowering the cross. Some flowers even made it into their hair to complement their beautiful Easter outfits.